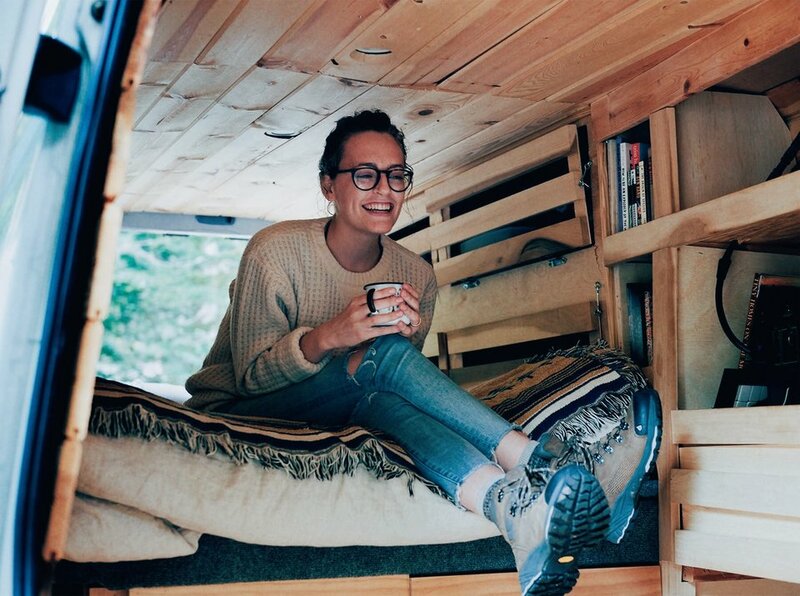 Marriage, Career, and a Home on Wheels. How Graduating Debt Free Helped Me Build the Life I Always Wanted. At 17, everyone told me I needed to go to college. So, just like all of my friends, I visited a college campus. It only took a single tour to realize college wasn’t for me. I wanted to do so many things—get a full-time job, start my own company, travel, live on my own, and so much more. How could I do all of that while being locked into a four-year commitment, not to mention the $40,000 per year price tag? So I decided not to enroll in college. Instead, I’d keep working towards everything else I wanted to do. I got a retail job, built a piano-teaching business, and lived on my own. That’s when I discovered Unbound. Unbound didn’t ask for a 4-year campus commitment. It didn’t come with an absurd 5-digit price tag. Instead, it offered me the chance to work toward my goals and earn my degree on the side. It was a no-brainer. I signed up immediately. A short time later, Unbound became an unexpectedly large part of my life. I landed an unpaid internship with them to help build the student community. Using the skills I was learning in my marketing classes (I’m a marketing major), I helped plan and market the very first national student event for Unbound students. When that was over, the director of Student Life hired me. 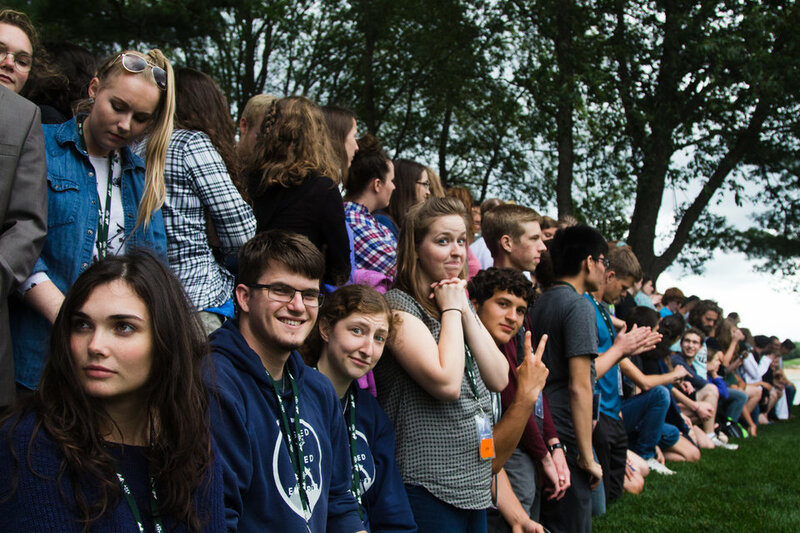 The years that followed were filled with countless trips all over the country to run events designed to bring students together. Through this, I was able to enhance my book-learning with real hands-on marketing experience and build a relationship with my now-husband. Having just finished my last course in November, I’m 22, the same age as most college graduates. But, while the average graduate is fresh, inexperienced, and laden with debt, I have four years of work experience in my field. I’ve traveled extensively over the last 3 years. I have already built the life that I’ve always dreamed of. I married the love of my life, another Unbound student, and—not surprisingly—someone who truly aligns with my values and goals. Thanks to Unbound, we’re both debt free, which means every penny we make goes to building a life we love. Turns out, thousands of people want to know how to live a life like ours. They constantly ask us how we were able to pay for our tiny home on wheels and college. Every single time, we blow them away by telling them we’re completely debt free! I was able to do all of this, including working full-time, while earning my bachelor’s degree because of the flexibility Unbound provided. Some semesters, I focused solely on school and earned a crazy amount of credit in a short amount of time. Other months, I only got around to finishing a few courses. But because of the flexibility of not being on campus, my degree never slowed me down or distracted me from my other goals. Now I have a degree, experience, and the life I’ve always dreamed of! Looking back, I’m so thankful that I had the opportunity to work towards my goals and explore my possibilities without being tied to a four-year commitment. If I hadn’t been blessed with the freedom Unbound gave me, I’d have just graduated a few months ago without experience. I’d be stuck with around $37,000 in student debt, and I’d be looking for my first entry-level job. What a world of difference that would be compared to my life now. Because of my job in the Student Life department, I’ve had the privilege of meeting hundreds of other Unbound students very much like me. It continually blows me away how much they’re able to accomplish at a young age. It’s not that any of us are smarter or more talented than the average student—it’s that we have the freedom to push ourselves to accomplish the things we care about. The reality is, when given the ability to accomplish the goals we care about, chances are, we’ll rise to the occasion. Do you have a dream that you think is impossible until you’ve finished your degree and paid off your student loans? I’m living proof that it’s possible NOW. You can graduate on your schedule, without debt, and with the experience you need to accomplish your big goals. Click here to learn how! Liked this post? You may also like I Graduated and Started My Career by 20 Years Old. Here’s How. 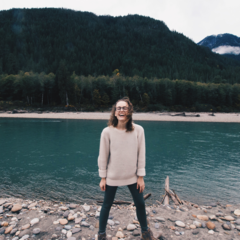 Aubry is a spunky Unbound Graduate who loves adventure. 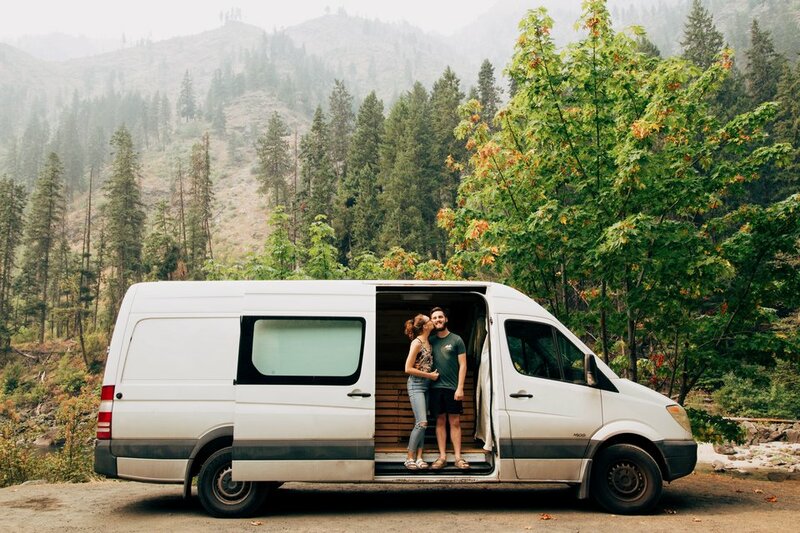 In addition to working with us at Unbound, Aubry runs a Youtube Channel with her husband called The Matneys, where they share their experiences with veganism, van life, and minimalists.